This weekend was seriously the best you guys! John and I made it safe and sound to California and have had a blast celebrating my birthday and the love of some very good friends. It was a busy weekend though, so its been nice to take a little break yesterday and just relax. For my birthday, my mom took me shopping, which is one of my favorite things to do because I always find good things when I’m with her, plus its fun to just spend the day having one on one time with my momma. Also, since my birthday is the mark of fall, I always stock up on my favorite fall items. This season has probably been one of my favorite ones yet, though in regards to fashion. It seems like everything is the perfect shade of fall – garnet, mustard yellow, heather gray, and gorgeous camel brown and styles are all about keeping it comfortable. I love that because let’s be real, if you have gotten to know me at ALL, I’m allll about the comfort. With that in mind, I decided to round up some of my favorite fall finds! First things first –> my fall go-to bootie. These ones by Kristin Cavallari are so cute and are the perfect shade for fall. They are super comfy and I love that my skinny jeans fit perfectly inside them. You are going to see these a lot from now, through winter haha. Next up is a long sweater. This style is everywhere right now and I love the price point on this one. Leith does a really great job in providing great staple pieces at an affordable price point with excellent quality product. Plus, I love this color. It is so refreshing and would be easy to style with anything. I initially bought mine in grey, but I’m thinking I may need another…. One thing I love about fall, is the ability to layer, and nothing layers better than a beautiful vest. This one by Patagonia is my absolute favorite. It styles so well and I even pair it with workout clothes or scrubs when I’m working. I purchased mine last season, but this one is definitely a Patagonia staple. Just make sure to size down a size. I am whole-heartedly OBSESSED with this bag. I think it is the perfect bag for fall, but is one that can easily transition through winter to next spring. It is so cute and the leather on this is to die for…like butta people. Every home needs a good smelling candle during fall because it is the epitome of coziness. 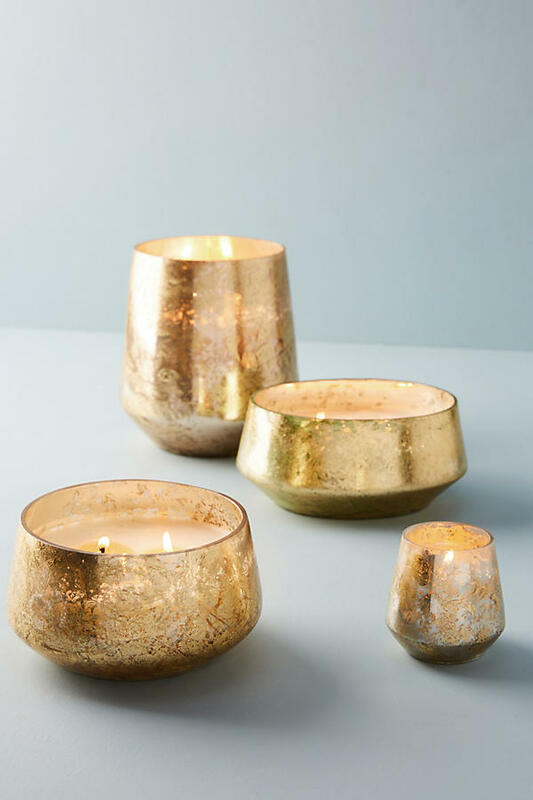 The Fireside candle from Anthropology is one of my favorites because it embodies the smell of small so perfectly. Every season they design it a little differently and every season I can’t wait to get my hands on at least two of them! I love a cute pullover that I can throw on easily over my outfit and take anywhere with me. 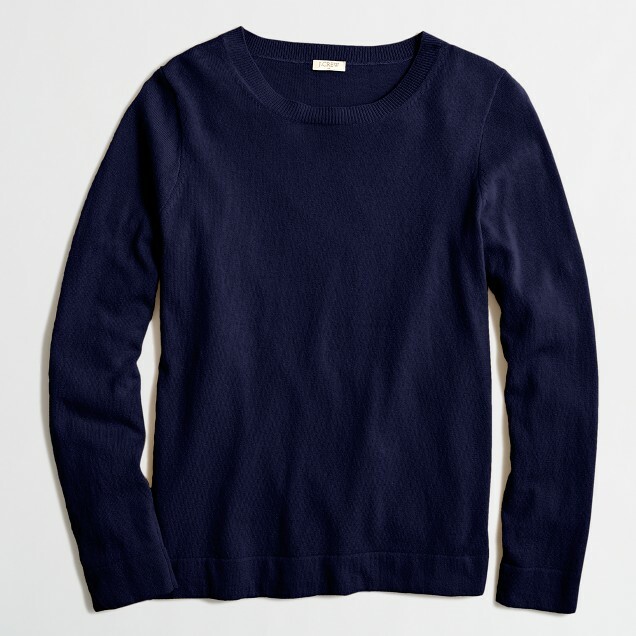 This one from Jcrew Factory is perfect! It comes in 10 different colors, is under $40, and is super lightweight, soft, and flattering on every body type. I have already bought it in two colors, but I may need to add another! I decided to add a necklace to the mix because I think Jcrew does a really great job with creating beautiful pieces that go fabulously with my favorite fall styles. This necklace comes in three different colors and would look perfect paired with every singe piece I have posted above. I think that is all I have for now. I wanted to sort of cover every area for you guys, so hopefully you enjoy. If you like this post, feel free to comment below to give me your feedback so I can provide more of what you like in the future! Also, it is still not too late to grab the book for this months book club! It is called To All the Boys I’ve Loved Before by Jenny Han. It is SO good and we will be reviewing it LIVE on Instagram this Sunday October 1, 5:30 pm Pacific Time. Hope to see you all there!